An injury can be catastrophically life altering. When the injury is caused by the negligence or recklessness of person, business or other entity, the only avenue of compensation available is financial. Victims need and deserve personal injury compensation—to pay for such things as medical expenses, to recoup lost income, and as compensation for their pain, suffering and emotional distress. We understand that fundamental right and for decades have been achieving optimal results for clients from towns and cities across Connecticut—from Ridgefield, Redding, Danbury and Bethel to New Milford, Roxbury, Southbury, Woodbury, Bethlehem, Litchfield, Torrington, Cornwall, Salisbury, and elsewhere in Connecticut, including Waterbury, New Britain, and Hartford. Many people who have been injured aren’t aware of their rights, or may be hesitant to pursue legal action if they feel what happened was “an accident.” Others who have been wronged are unsure how the process of seeking redress works, which makes taking action seem daunting. Cramer & Anderson has a team of Personal Injury lawyers with long experience in winning favorable settlements and jury awards—and we do all the work. As the largest firm in western Connecticut, we have the clout of the big firms that advertise on TV—and as a regional firm with offices in New Milford, Danbury, Litchfield, Kent and Washington Depot, we have hometown approachability. Our personal injury lawyers put clients first, treat them with great care and respect, and guide them step-by-step through an often complex process as we pursue legal remedies promptly, efficiently and affordable. We represent clients with a team of accident attorneys and paralegals who are highly experienced and understand what our clients have gone through. Our injury lawyers are skilled advocates whose compassion with clients while meeting with them in the conference room is balanced by tenacity when fighting for those clients in negotiations with other lawyers, in litigation filings, and in the courtroom when a case proceeds to that level. Related Practice Areas include Workers’ Compensation, Civil Litigation and Social Security Disability. Among the highest rated lawyers in Litchfield County, Cramer & Anderson Partner Randy DiBella has received a rating of AV Preeminent® in the Martindale-Hubbell® Peer Review Rating™, which reflects that fellow attorneys consider him at the highest level of professional excellence. 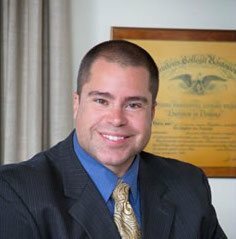 Attorney DiBella, whose Practice Areas include Civil Litigation, Land Use & Environmental Law and Municipal Law, works primarily in Cramer & Anderson’s flagship office in New Milford and lives in Litchfield. One important theme ties together the Practice Areas of Attorney McCarthy: He has a passion for holding accountable the people, entities, and systems that have caused harm to clients, or treated them unfairly. His Practice Areas also include Uninsured and Underinsured Drivers and Workers’ Compensation. 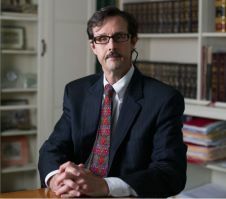 Attorney McCarthy works primarily in the New Milford office but handles cases from towns and cities across Connecticut. He lives in Litchfield. Attorney Barry Moller’s “bread-and-butter” cases are so intricate they might intimidate attorneys with less experience. 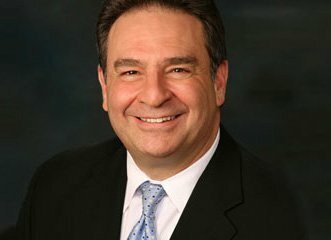 Based on broad knowledge, experience and a determination to uncover and address every important detail, he passionately takes on complex cases within his primary Practice Areas, Workers’ Compensation, Personal Injury (motor vehicle accidents), and Premises Liability, dealing with property hazards that cause harm. 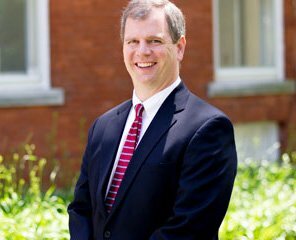 Attorney Moller is based in the New Milford office and often lectures on legal issues in Hartford, New Haven and beyond. 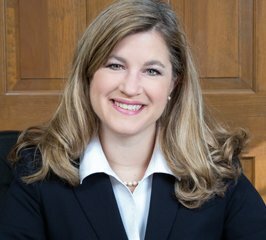 A Senior Partner with Cramer & Anderson, Attorney Taylor handles general litigation, with notable cases and outcomes in Practice Areas such as Personal Injury and Workers’ Compensation. Attorney Taylor is known for his collaborative approach and leverages his ability to work constructively with others in order to produce the best outcomes with the least amount of stress. He also handles Divorce & Family Law cases, and represents a large number of clients in Residential Real Estate Law for the firm. 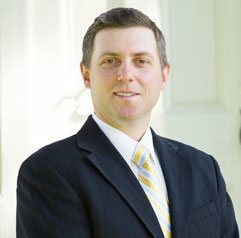 Attorney Taylor is based in the New Milford office, where he lives, but his work takes him to Litchfield, Torrington, Danbury and beyond. “I have always represented the injured person, the individual who unfortunately finds himself or herself in a difficult time due to an unexpected injury or diagnosis. It is easy to passionately advocate for someone who is in dire straits and when you appreciate that their livelihood depends upon your advocacy and effort.” says Attorney Collins, whose principal practice areas are Personal Injury, including motor vehicle accidents, Workers’ Compensation, and Social Security Disability applications. In her 18 years of practice, Attorney Collins has established a record of success on behalf of clients, built upon meticulous attention to details and deadlines, including a settlement of $1.2 million for a young lady who injured her neck at her workplace when a commercial overhead garage door released onto her neck. Complications developed thereafter causing a work ending condition. Attorney Collins has extensive experience in preparing and trying injury claims to a jury, and has an ability to communicate effectively and persuasively with judges and opposing attorneys. 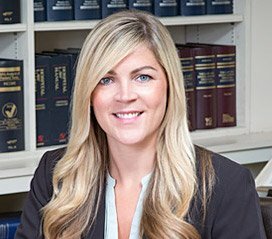 Attorney Collins is based in Cramer & Anderson’s Danbury office and handles cases and issues throughout Fairfield and Litchfield counties and beyond. She lives in Ridgefield with her family. Attorney Mancini excels in litigation, but considers going to trial a last resort in Personal Injury cases if an acceptable settlement cannot be worked out. When the uncertainty of a trial can’t be avoided, Attorney Mancini embraces the challenges and works to achieve a successful outcome. 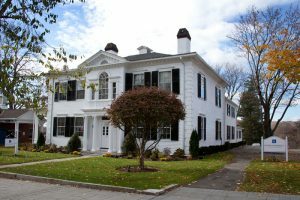 Based in the firm’s New Milford office, Attorney Mancini represents individual, corporate and public sector clients in a wide range of Civil Litigation cases, including the prosecution and defense of claims in contract, construction, property, tax appeal, insurance, and commercial disputes. Attorney Mancini lives in Goshen. Making a personal connection with clients, being readily available, and establishing a strong sense of trust are guiding principles for Attorney Miranda—whether she’s drafting a prenuptial agreement, working on aspects of a complex municipal law issue, or assisting Partner D. Randall DiBella with noteworthy cases involving a New Milford house explosion and the death of a cyclist. Attorney Miranda works in the New Milford office and lives in Litchfield. She was named to the board of the Women’s Center of Greater Danbury in November 2016, and was recently asked to join the board of the Greater New Milford Chamber of Commerce. In addition to his work with Cramer & Anderson, Attorney Sochacki is a member of New Hartford Volunteer Ambulance, and Deputy Director of Emergency Management. He is also counsel for the volunteer ambulance corps, providing legal services at a significantly reduced fee. Attorney Sochacki’s volunteer service as a first responder has often helped him achieve impressive outcomes in Personal Injury cases. He recently settled a Personal Injury case involving soft tissue damage from a low-impact rear end collision for an amount the mediator said exceeded settlements in nine of 10 comparable cases. In a sensitive case whose details were not made public, Attorney Sochacki secured a settlement that stunned colleagues. His client was the family of a child abandoned on a school bus by a driver who failed to check the bus after dropping students at school. The settlement Attorney Sochacki won—in part because of insights from his EMS volunteerism—was more than three times what the Partners had estimated he could obtain. And he achieved it without filing a lawsuit. Attorney Sochacki’s Civil Litigation practice focuses on personal injury, product liability, construction defects, medical malpractice, real estate errors and omissions, professional malpractice, and employers’ liability and discrimination. 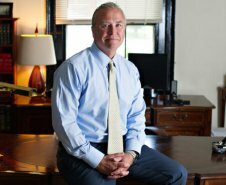 He works primarily in the firm’s Litchfield office and lives in New Hartford with his family.